Do You Have Back Pain After Your Car Accident? The unexpected jolt and unnatural movements that often occur during a car accident can undoubtedly damage several areas of the body. From fractured bones to back injuries, passengers and drivers can find themselves in pain long after the accident has been cleaned up. It is very important to properly understand the different types of back pain that can be caused by an auto accident in order to best treat the back injury. Here are some things you probably didn’t know about back pain. Whiplash regularly occurs after an auto accident due to the violent and quick motion of the head from impact. Many associate the pain of whiplash only with the immediate area around the neck region, but the strain is also placed on muscles down the spine and in the upper back. Soreness and stiffness of the soft tissue in these areas can result in back pain that can last several days to several weeks following an accident. While most back problems after an automobile accident involve soft tissue damage, more severe accidents can cause spine injuries that require a greater degree of medical attention. The common cause of spinal injuries or pain following a vehicle accident is a bulged, herniated, or even slipped disc. This particular type of injury can be extremely serious for victims of accidents, with pain being simply one side effect. The back is separated in lower, middle, and upper levels. Each level can incur its own level of damage due to an accident. 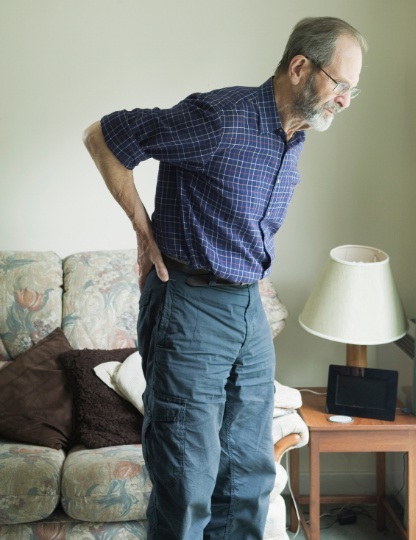 If the lower back area sustains an injury, and pain extends through the lower back region down the legs and arms, then immediate medical attention is required as this could be a sign of a severe spinal injury. If you believed you have suffered a spinal injury due to a car accident, then you may have a personal injury claim. A personal injury attorney in FL can help protect your rights and acquire a settlement for your injuries. If you are located in Florida and feel like you have a strong case, contact the Leifer Law firm at 561-395-8055 today.